Devoid Of Culture And Indifferent To The Arts: Election 2011: Coalitions. Just the facts, not the bulls**t.
Election 2011: Coalitions. Just the facts, not the bulls**t.
FACT: Stephen Harper, Michael Ignatieff, Jack Layton and Gilles Duceppe have all been involved in proposals, or discussions, of Coalition governments to replace a sitting Minority government. I am not for, or against, coalition governments as a concept. As I said in an earlier post it works perfectly well in other Commonwealth countries. Case in point: the UK where Prime Minister David Cameron currently provides "strong and stable leadership" in a Conservative coalition government with the support of Nick Clegg, a Liberal Democrat. 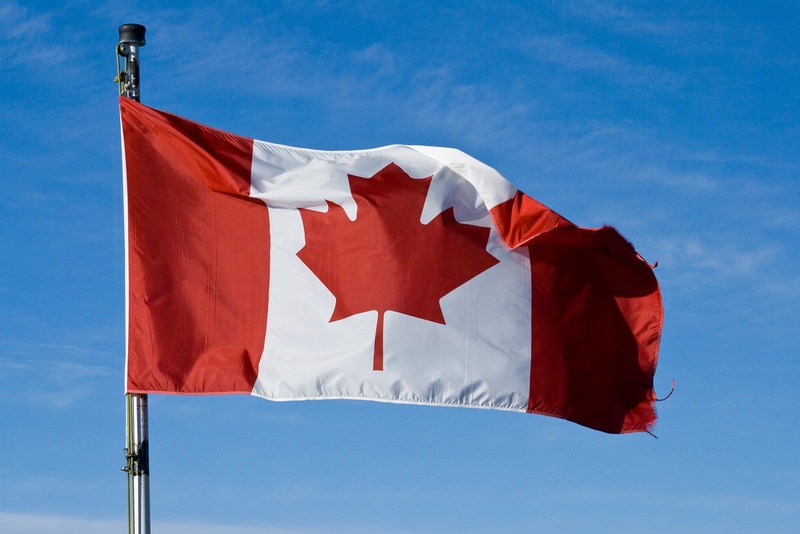 Are coalitions in Canada legal and legitimate? It is a constitutionally legal option in parliamentary democracy. It is usually not preferable, but legitimate none the less. Most often though, they are formed in times of war or political upheaval. It is not a way to usurp power or to wrest control from a duly elected government. Keep in mind, no leader has the power to force a Coalition on the Canadian people. It is entirely the decision of the Governor General, if in his wisdom, he thinks it is in the best interests of Canadians to ask a coalition to form and seek confidence from the House of Commons. Are coalitions agains the will of the people? What this shows is that 62.35% (nearly 2/3) of Canadians voted for parties other than the Harper Conservatives, yet 37.65% formed the government. That's how our parliamentary system works. The Greens, even though they had 6.78% support, gained no representation. The above is why people get their knickers in such a twist over proportional representation. That system would give seats based on the proportion of a party's popular vote. For example, the Green Party would have had 2 seats. 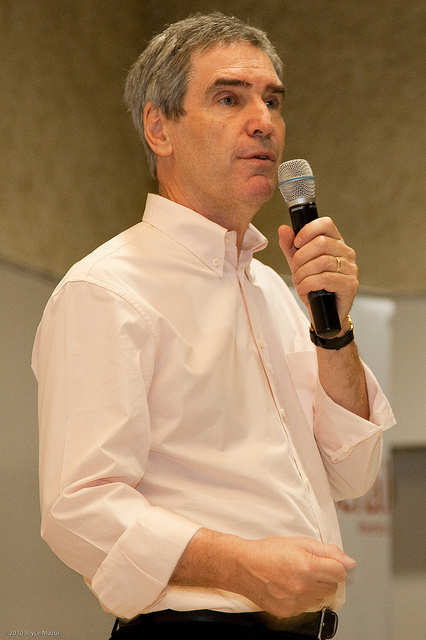 As Liberal party leader, Michael Ignatieff has never formally proposed a coalition with anther party. In fact he withdrew the Liberal Party from Dion's proposed coalition. 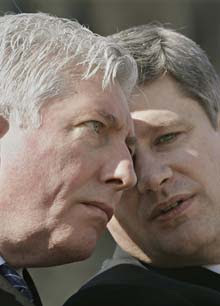 What he DID say, on December 7, 2008 in the midst of the Liberal leadership process, was "A coalition if necessary, but not necessarily a coalition." Liberal leader Michael Ignatieff categorically rejected the notion he’d formed a coalition with the NDP and the Bloc Québécois to defeat the Conservative government. “There is no coalition, period,” Ignatieff said. “What there is is a big red tent, a Liberal Party that is going to defeat this government at the next election. That’s what they’re actually afraid of, right?” Prime Minister Stephen Harper and his cabinet ministers have for weeks been repeating that the choice Canadians face in the next election is between a Conservative majority and a coalition. Last week, for instance, Finance Minister Jim Flaherty referred to the “Ignatieff-Bloc-NDP coalition” 14 times during a speech in Ottawa. If anyone was watching CPAC on Friday night you heard almost every Conservative member who rose to answer Opposition questions insert the word "coalition" at least once somewhere in their answer. The Liberals and New Democrats (not the Bloc Québequois) signed an agreement to offer to the Governor General Michaëlle Jean their service as a coalition government if the Harper Minority fell. 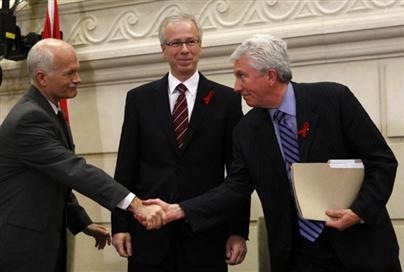 An accord was signed between Stéphane Dion, Jack Layton and Gilles Duceppe, but that was not the offer which the GG would have had before her as a possible government. The Bloc was to have no representation in Cabinet, but agreed to support a Liberal/NDP coalition for 18 months on "confidence" votes that would otherwise topple the coalition government. Of course the idea of a government with the sworn separatist Bloc is a poison pill an overwhelming majority in Canada will never swallow. But that's not the facts. Read what's next. It is a fact that the BQ put themselves in the same kind of relationship with the Harper Minority by voting with the Conservatives in 2006. Their support provided the Conservatives with the votes to pass their Throne Speech and the first two Conservative budgets, as well as several “confidence” votes—that is votes in which the government would have fallen had it lost. Did the Harper government reject the support of the Bloc's votes? No. I guess Bloc support is only good when it helps the Conservative government survive. It seems disingenuous at best when the Conservative Party speaks about the evils of a coalition taking power from a Minority government. "As leaders of the opposition parties, we are well aware that, given the Liberal minority government, you could be asked by the Prime Minister to dissolve the 38th Parliament at any time should the House of Commons fail to support some part of the government’s program. We respectfully point out that the opposition parties, who together constitute a majority in the House, have been in close consultation. We believe that, should a request for dissolution arise this should give you cause, as constitutional practice has determined, to consult the opposition leaders and consider all of your options before exercising your constitutional authority. Your attention to this matter is appreciated." As the head of Her Majesty's Official Opposition at the time, it would have fallen to Stephen Harper to head a coalition and become Prime Minister. So it appears perfectly legitimate when it's Harper's coalition (or as he phrased it "co-opposition") but not when it may be to his detriment.